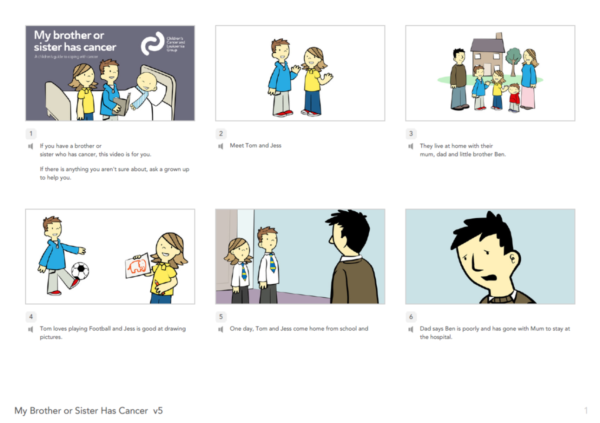 Story Book Animation for Siblings of Children with Cancer | Mair Perkins Ltd. The Children's Cancer and Leukaemia Group is a UK charity that promotes and improves on the best standards of care for children and younger teenagers with cancer and leukaemia by bringing together all relevant healthcare professionals in the British Isles. The CCLG approached me to adapt a children's book they created into an animation to make the story more widely available. 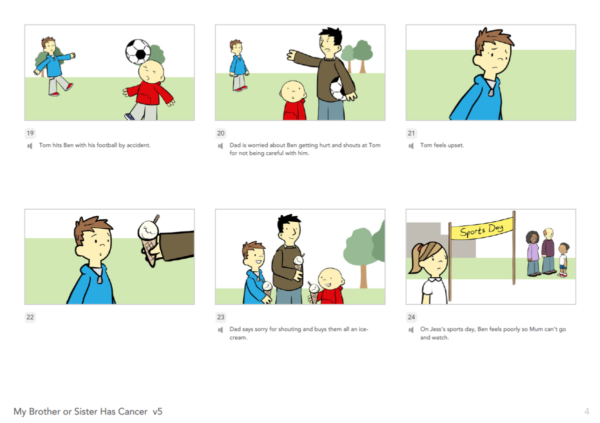 I worked the CCLG team to adapt the book's story into an animation script and storyboard. 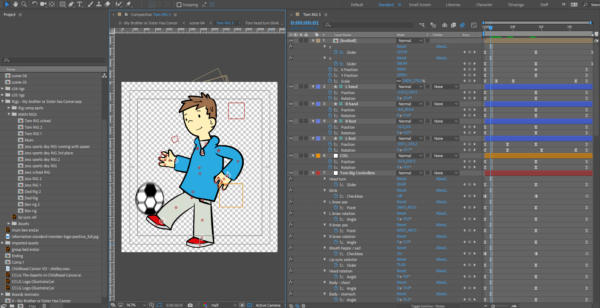 After the storyboard was approved, I recreated the characters in Adobe illustrator and rigged them in After Effects where I then animated them. The Children's Cancer and Leukaemia Group is a UK charity that promotes and improves on the best standards of care for children and younger teenagers with cancer and leukaemia by bringing together all relevant healthcare professionals in the British Isles. The CCLG approached me to adapt a children's book they created into an animation to make the story more widely available. 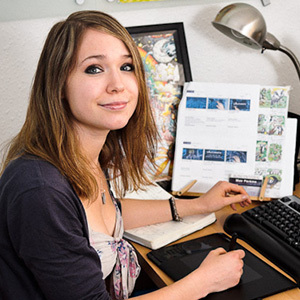 I worked the CCLG team to adapt the book's story into an animation script and storyboard. After the storyboard was approved, I recreated the characters in Adobe illustrator and rigged them in After Effects where I then animated them.